A fresh bag of Brussels sand had just been opened while six academics stood behind a workbench, feeling and touching the sand as if it had just arrived from Mars. In fact, I was about to start my first historical reconstruction of early modern gold- and silversmithing techniques. 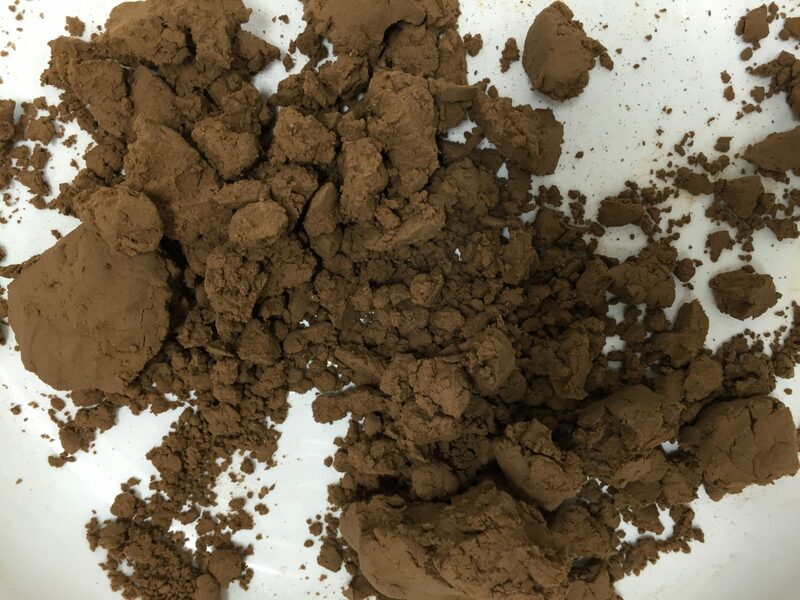 First step in the process was to prepare the sand that is used to make molds for casting. Still a bit uncomfortable, I added a splash of water while all of a sudden we became aware of a specific odor that had been notably absent in the clean and white environment of the building. We smelled mud! The immediate cause for this adventure was a Dutch technical text that was published in 1721 as a Guidebook for Arriving Gold- and Silversmiths. 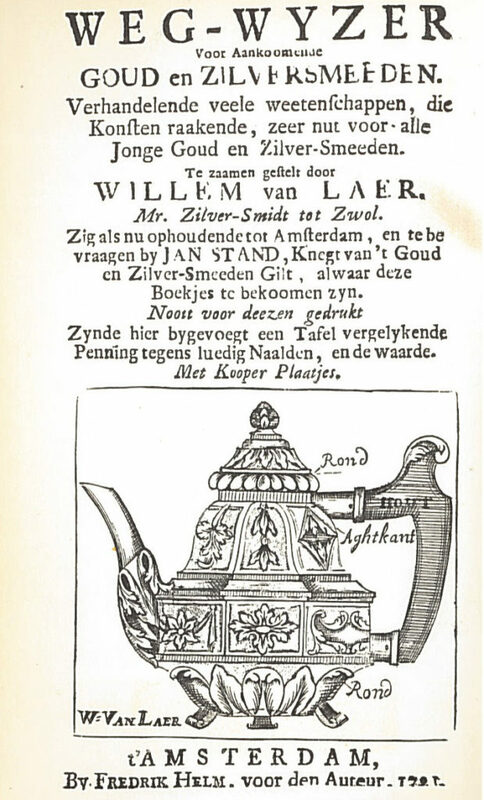 [i] The Dutch silversmith Willem van Laar (1674-1722) decided to write down his knowledge and experience in little more than two hundred pages and introduces the reader to a wide array of techniques and procedures he considered essential for his craft. Unfortunately, he died just one year after publication, but two reprints of the book seem to attest to its popularity in the course of the eighteenth century. A story like this might easily go unnoticed, but it opens up several important problems. Because how did early modern people use texts to learn how to do things? And why would an artisan like van Laar decide to write a book? Fig-1: Title page of Willem van Laar’s Guidebook. Fortunately, it is not difficult to see where van Laar’s motivation came from. He explains in the preface that if one really wants to learn the craft of gold- and silversmithing, it is necessary to obtain additional hands-on education and experience. Subsequently, he offers his services, for a “decent price”, to those who indeed want to follow through on face-to-face instruction. The book could therefore be seen as an attempt to persuade his readers to become paying apprentices. But it also appears to have been a last resort in Van Laar’s professional career. He was a troubled man who dealt with an unhealthy financial situation. He wrote: “The vicissitude of this world has put me in an unfortunate position regarding my temporary goods, such that I have retained nothing more (due to certain people), than my wife, child and usage of my limbs, as long as the almighty will please”. [ii] Moreover, he was not admitted to the Amsterdam guild for gold- and silversmithing, meaning that he had to make do without the educational and professional infrastructure it provided. Yet, by writing a book and by actively fishing for apprentices outside the guild system, he sought new income and a new way to transmit and share his technical knowledge. But did people ever use van Laar’s text to learn the crafting of gold and silver? Unfortunately, direct evidence of usage is lacking and so it seems justified to shift the focus towards a question that precedes the current problem, namely: would early modern people have been able to use this text? The only way to answer this question is to read van Laar’s text as if I am the one who needs to learn how to make things. This not only involves close-reading, but also actual and hands-on reconstructions of the written procedures and recipes. Together with metal conservator Tonny Beentjes, I began working on the Guidebook last August in the Atelier Building in Amsterdam. Fig-2: Making the mold. 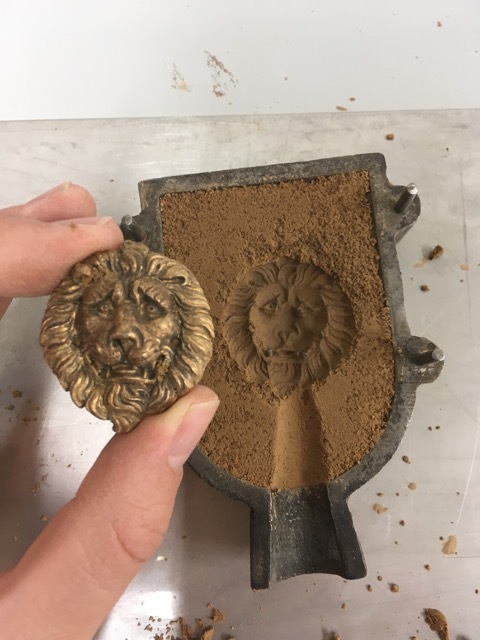 The original pattern is removed after being pressed into the sand. The first thing I learned concerned the way van Laar structured his text. I expected a straightforward, chronological set of instructions that would describe technical procedures step by step. Instead, I found myself hopping through the book in an attempt to learn how to make a mold from sand that can be used for casting. Much to my surprise, I had to gather pieces of information that appeared to have been indifferently scattered over the pages and over seemingly unrelated topics. While at first I was inclined to explain this in terms of the book’s usability, or rather as a lack thereof, I soon realized that it probably says more about my modern conception of didactics than about the actual Guidebook. This means that I will have to subject myself to the reigns of early modern didactics, which would be the decent price I need to pay to become van Laar’s twenty-first century apprentice. 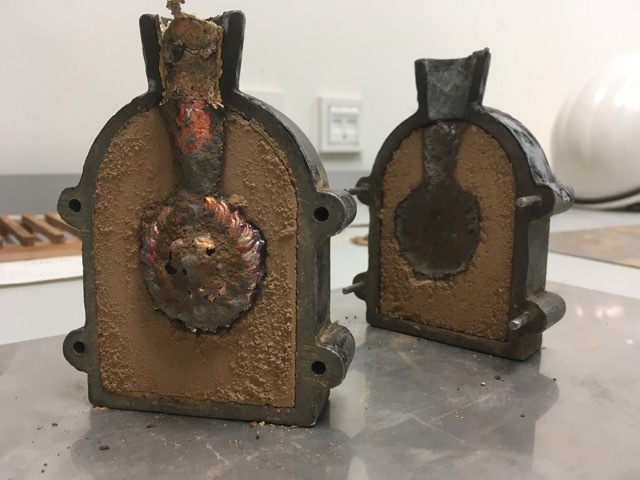 Fig-3: The mold being opened just after casting. Notice the porosity of the cast. And the mud? It was used eventually to make a mold and to produce my first cast. Of course it horribly failed. But then again: van Laar wrote that “without taking the work in hand, it is impossible to arrive at perfect knowledge.”[iii] I will have to keep on practicing. 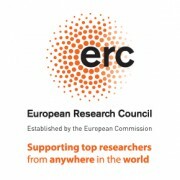 The ERC ARTECHNE project has received funding from the European Research Council (ERC) under the European Union’s Horizon 2020 research and innovation programme (grant agreement No 648718) and is a cooperation of Utrecht University and University of Amsterdam. [i] Willem van Laer, Weg-wyzer voor aankoomende goud en zilversmeeden. Verhandelende veele weetenschappen, die konsten raakende, zeer nut voor alle jonge goud en zilver-zmeeden (Amsterdam: Fredrik Helm, 1721). [ii] Willem van Laer, Weg-wyzer: preface.